With just days to go before House and Senate Republicans want to vote on a final tax bill, the Treasury Department issued a one-page memo outlining its views on the economic growth prospects of the Senate-passed version of the bill. Its conclusion: The tax bill, in combination with the rest of the White House economic agenda, will not only generate enough new revenue to pay for the tax plan, but generate an additional $300 billion over a decade. How it arrived at that conclusion, however, has been called into question by tax policy experts. "This is not a serious analytical effort that could withstand peer review," said Mark Mazur, director of the Tax Policy Center. 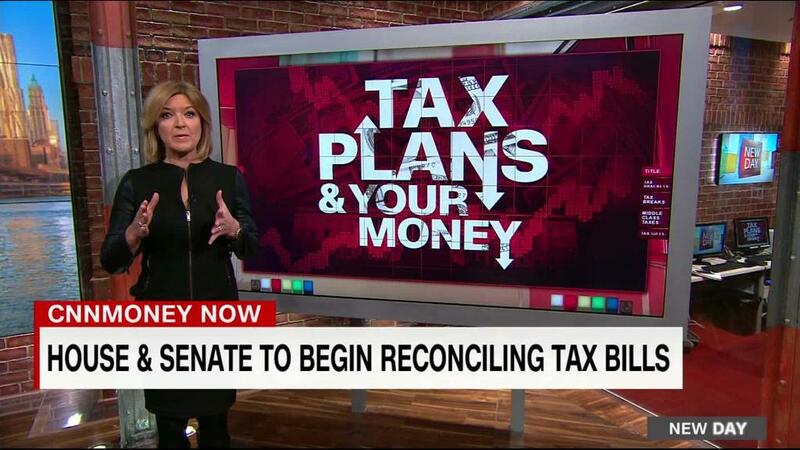 In modeling the Senate tax plan, the Treasury's Office of Tax Policy came to a similar conclusion as the nonpartisan Joint Committee on Taxation, the memo said. The JCT found that the bill would lose close to $1.5 trillion over a decade. After accounting for the potential growth effects of the bill's measures, however, the JCT found it might generate $408 billion in new revenue, reducing the bill's cost to just over $1 trillion. But then Treasury took its analysis one step further, layering on a 2.9% annual growth assumption that comes from the White House budget office. And that 2.9% rate is assumed to come from the Trump administration's total economic agenda -- including tax, regulatory and welfare reform, as well as infrastructure investment. "We acknowledge that some economists predict different growth rates," Treasury wrote in its memo. Instead of doing its own formal analysis of how the tax provisions would affect economic growth, however, the Treasury assumed a certain level of growth and the revenue that could be raised, according to Martin Sullivan, chief economist of Tax Analysts. "They just ran their revenue model assuming high growth but without telling us where 'the Administration projections' come from," he said. The one-page memo comes as the Treasury Department's Inspector General is conducting a review into what happened to the economic analysis of the Republican tax plan that was repeatedly promised by Treasury Secretary Steven Mnuchin. Mnuchin has repeatedly pledged that more than 100 career staff members were "working around the clock on running scenarios" to show how the costs of the $1.5 trillion GOP proposal would be covered by economic growth. He even noted in September that an in-house analysis showed the bill would reduce the deficit by $1 trillion rather than increase it. Rich Delmar, general counsel for the agency's inspector general, told CNN on Monday a pending review launched last month will continue. Correction: This story has been updated to better reflect Treasury's assertion that the tax plan will be paid for through economic growth generated by a combination of the tax provisions plus other elements of the Trump economic agenda.